Have you heard of dukkah? 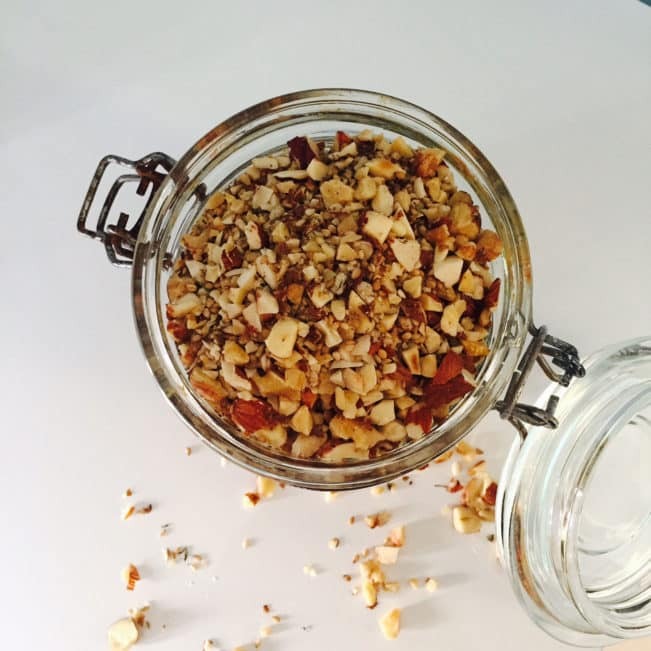 Dukkah is an Egyptian spice mix made with nuts and spices. You can use it for all sorts of things, like topping on your salad or as a spice for meat or fish or you can mix it with olive oil and use it as a dipping sauce for bread or vegetables. Like with curry, the recipe for dukkah varies for every person you ask. Some prefer it grounded finely as a nutty flour, others prefer it rough with chopped nuts and the spice mix varies too. 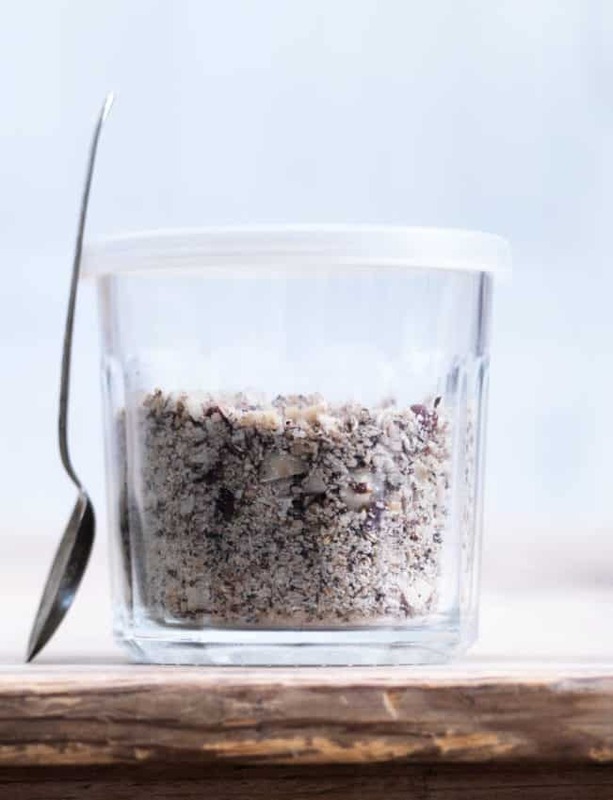 You can buy ready made dukkah (but they often contain sugar) or you can make it yourself. It’s really easy and it allows you to experiment and find your own preferred dukkah mix. I like to experiment with mine but there are three items that are always included: hazelnuts, sesame seeds and fennel seeds. I use my dukkah on kale salads or regular salads and I love it on fish. Both on salmon and on white fish. Silas often finds white fish to be a bit boring and that is easily solved with a dash of dukkah. 2. In a bowl, mix your spices. Crush or chop fennel seeds finely before hand. 3. On a dry pan, roast the chopped nuts at medium heat. Add the spice mix and roast until the nuts get golden. Take them off the pan and pour the mix into a bowl. 4. Roast the sesame seeds on a dry pan. Mix them into the nut mix. 5. Now, you can choose that your dukkah is done or you can ground all or half the mix in a food processor until you have a rough nutty flour. Homemade kebab spice mix – no sugar!